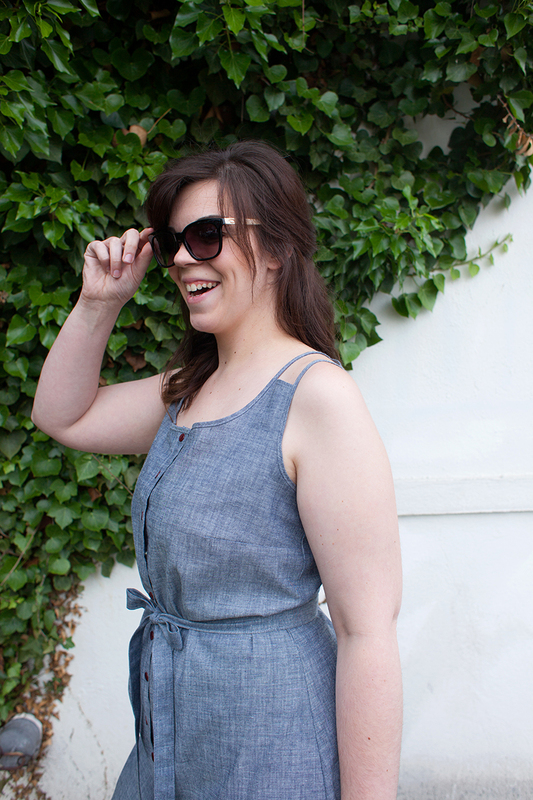 Recently, Delaney stitched up an Adelaide dress in the most adorable cat print linen. I honestly thought this frock would be impossible to top. I mean come on! It’s a cat dress! Then along came the latest pattern hack, giving us all hope that one day, we too could have Adelaides as cute as Delaney’s. Adelaide never ceases to impress with its simple lines and easy-to-wear style. 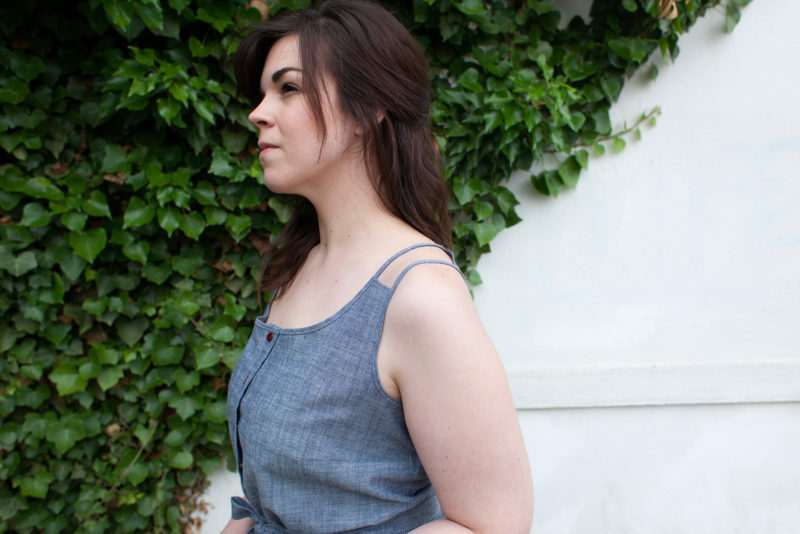 There is a reason it is a Seamwork favorite. 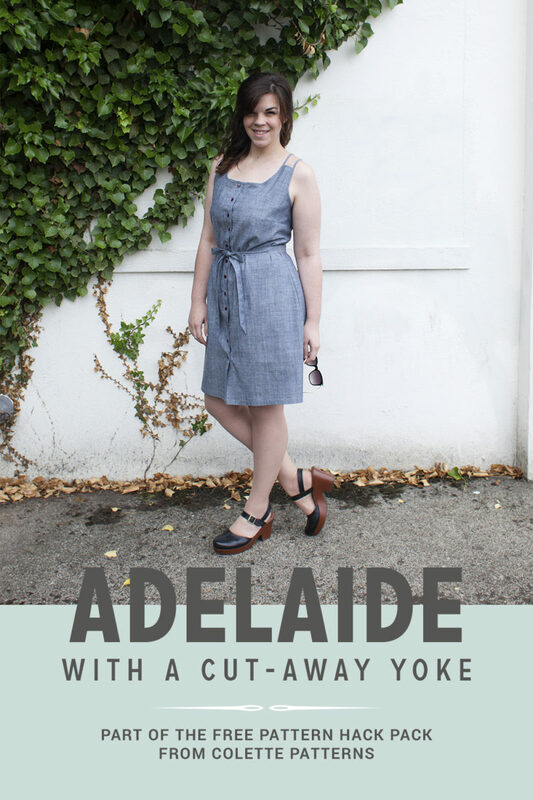 This hack walks you through creating a cut-away yoke at Adelaide’s straps. This variation is fun and flirty, and the perfect dress for grabbing a cocktail— I would suggest something with rum and a cocktail umbrella— and soaking up warm weather vibes. I love how simple and impactful this hack is. Delaney sewed her version from a really versatile chambray, then made it pop with burgundy set in snaps, but the possibilities are endless. Try making yours up in a fun print, or use contrast bias binding. Don’t miss your chance to save on Adelaide. Through this month you can get Adelaide for just $5, no promo code needed! Any pictures of the back? Hi Nique, I unfortunately didn’t take any pictures of the back, but in the last two pictures you can see that the cut-away only extends slightly on the back bodice. The great thing about this pattern hacks is you can modify to show more or less shoulder according to your taste. Interesting design. There is room to show less or more flesh on the shoulder…. I like this hack a lot. For small busted gals that go braless or with a good strapless it a great detail!